“Polk: The Man Who Transformed the Presidency and America” is the fifth of ten books by historian and lawyer (and mountaineer!) Walter Borneman. He is more frequently the author of books on 18th and 19th century US history, but has also written on mountain climbing in his home state of Colorado. Borneman’s most recent book is “The Admirals: Nimitz, Halsey, Leahy, and King – the Five-Star Admirals Who Won the War at Sea” published in 2012. Remarkably, this 2008 biography of James Polk seems to be the first comprehensive work on the eleventh president for at least several decades prior to its publication. This is surprising given the impact of Polk’s presidency on the nation’s geographic breadth and his expansion of the power of the presidency itself. Well worth the wait, Borneman’s biography is an articulate, comprehensive and interesting examination of Polk’s life, and his one-term presidency in particular. As is true with most presidential biographers, Borneman clearly admires his subject and extols his many accomplishments as chief executive (notably, completing his four key goals relating to Oregon, California, tariffs and the treasury). 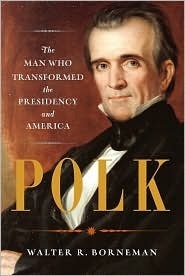 But while the author is also undoubtedly delighted at Polk’s growing popularity and enhanced reputation among the American public in recent years, this is no highhanded hagiography – though it isn’t quite a warts-and-all confessional, either. While the focus of this book is clearly James Polk, the author is careful to provide enough background and context to fully prepare even a layman jumping into Polk’s life (and era) for the first time. The Jackson and Tyler presidencies, in particular, are thoughtfully summarized in a way that sets the stage for the more detailed discussion to follow of Polk’s presidency. Borneman’s review of the Democratic convention in 1844 (at which Polk was chosen as the party’s presidential nominee) was excellent, as was the more succinct synopsis of the presidential election itself. 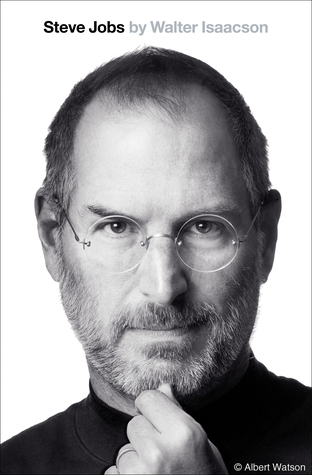 In addition, the author often did an excellent job of crystallizing complex circumstances into a few clear observations; on more than one occasion this clarified things I had read in previous biographies but didn’t quite understand. But while I appreciated the book’s background and stage-setting, several readers have fairly observed that the biography occasionally feels like a survey course focused on the history of the 1830s and 1840s. And although the author often does an excellent job avoiding excessive detail, there are a few occasions where this hazard is not escaped. Much like the conflict itself, the discussion of the Mexican War (as an example) seems to drag on interminably. The author’s emphasis in this book is squarely on Polk’s presidency and, to a lesser extent, his years as a budding politician in both Tennessee and Washington DC. What’s notably missing is a similar focus on Polk’s earlier years – they capture less than two-dozen pages. Perhaps there is little primary material to draw upon for a more comprehensive exploration of these years? The author never confesses. Though few readers will notice, Borneman also fails to fully highlight the odd (but fabulously interesting) dynamics generated by cantankerous president-in-waiting Buchanan’s tenure as Polk’s secretary of state. Also missing was a more consistent mention of James’s wife, Sarah, who was described in the next-to-last page of the book as a first lady unequalled during the ninety-six years between Dolley Madison and Edith Wilson. Overall, Walter Borneman’s biography of James Polk is a straightforward and often fascinating examination of one of our nation’s most effective and consequential presidents. While not perfect, this book does an admirable job humanizing an introverted and occasionally colorless man who enjoyed an incredibly assertive and dynamic presidency. For anyone interested in a comprehensive and engaging look at the life of James Polk, Walter Borneman’s biography is a safe bet. I didn’t realize Polk’s impact on the nation. Wow. I really enjoyed this book. I was only slightly familiar with Polk at the time I read the book, and didn’t really know much about the period between J. Q. Adams and Lincoln – so I really appreciated that the author did spend a decent amount of time talking about Jackson’s presidency and the culture/government of the time. But, I could see it being excessive if someone is familiar with the time period. Not to harp too much on this, but if you read Climax at Buena Vista and Hamilton’s biography, you will see that neither Scott, nor Taylor thought very highly of Polk’s wartime management which seemed overly political in his attempts to get a Democrat to succeed him. He seemed more intent on this than in winning the war. I have yet to read a dedicated Polk biography, but everything I’ve read about him in other works has been less than complimentary, part of which is for the reasons you mention. Having read much about Grant, Polk consistently comes across as unjustified in his reasons for the Mexican War and less than honest in his handling of that war. Of course biographies are often told from the perceptions and perspective of their primary subject, but it seems that of all the Grant bios I’ve read, they all agree in that assessment.